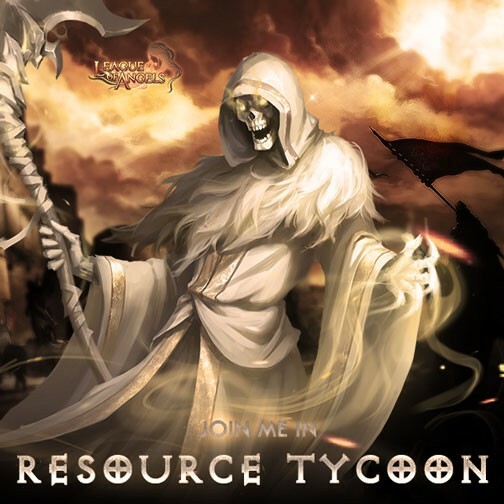 Join Skeleton Devotee in Resource Tycoon in League of Angels! The power of Evolution is one of the strongest forces in the land of the Angels and something that all heroes strive to obtain! 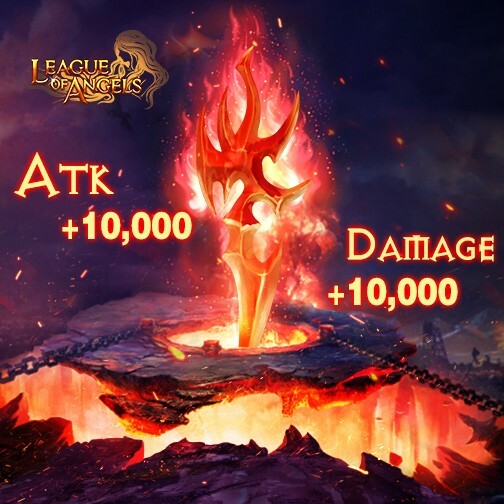 The arrogant Styx Guardian, who was considered to be the most powerful hero in League of Angels, is now getting an evolution and an EXCLUSIVE amulet in 2017! Come and check him out! 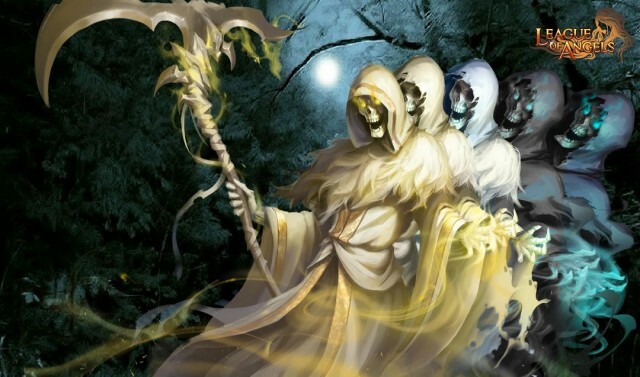 Styx Guardian’s evolved version, Skeleton Devotee, possesses a unique "Dead Harvest" which makes him a deadly adversary to his enemies. His Battle Skill gives Pale Blessing to all party members, reducing normal and Elemental damage received by 58% and increasing Divine Damage received by 46%. From Jan. 20th to Jan. 25th(server time), the top 6 winners in the overall ranking of CS Resource Tycoon will be able to take Skeleton Devotee into their squad! In order to rank higher in the fierce competition, players should collect as many resources as they can to gain more points. Friendly reminder: Gain Magic Mount Soul and Element Crystal for 2X points, Aegis Shard for 3X points! Dead Sickle, the exclusive amulet for Styx Guardian and Skeleton Devotee, will grant the heroes extra Divine Damage equal to 40% of total elemental stats, providing a huge boost in damage during battle! Don't forget to check the Tycoon Mystic Deal in Hot Events from Jan. 20th to Jan. 27th(server time)! In addition, all kinds of great resources are available in Wheel of Luck, Djinni's Merchant, Navigation King, and Lucky Tree! P.S. : Special thanks go to Brigit(S1 Kabam) for making the awesome fan art!